Today after church and lunch we had a terrific downpour. The rain came down in absolute buckets for several minutes. After a while the downpour eased but the rain continued. 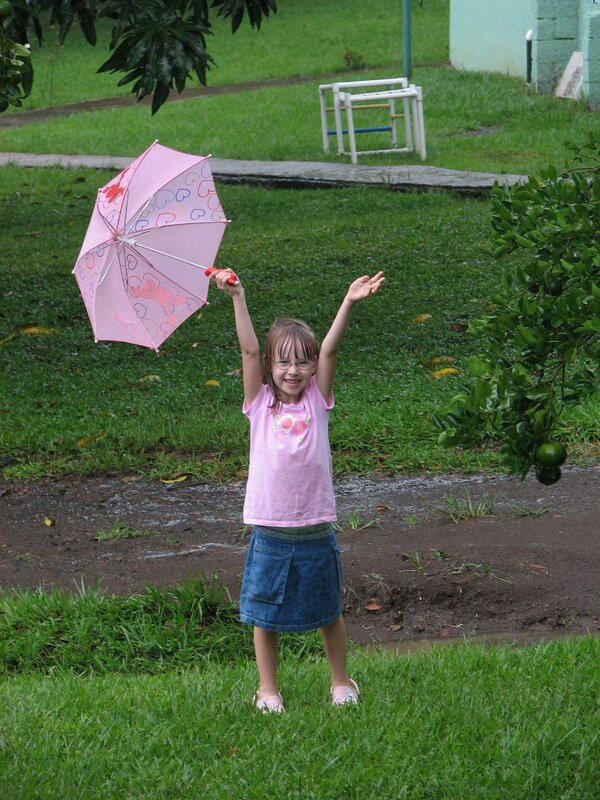 Now, if any of you have been to Hogar de Vida before everyone will tell you shortly upon arriving that Costa Rican children melt in the rain. Whenever it rains the tias quickly bring the children inside. Well, I think we managed to break about every Costa Rican childcare custom this afternoon. 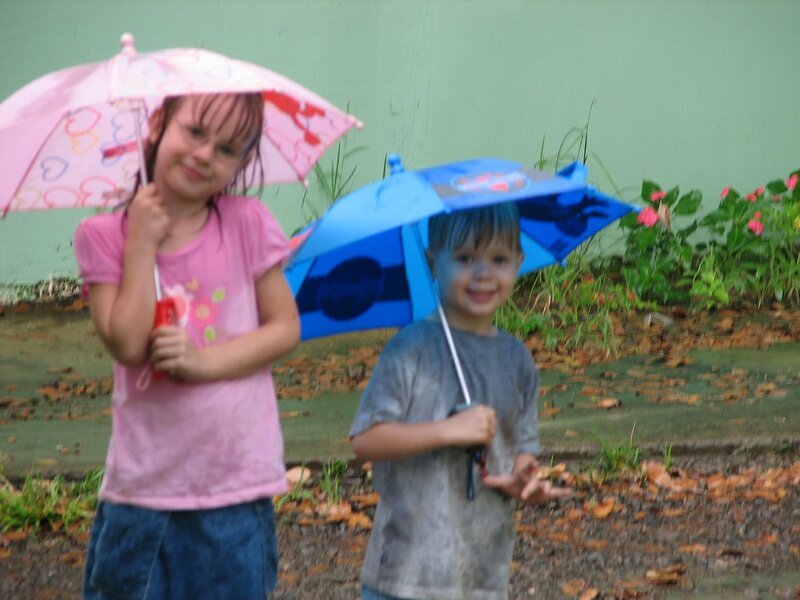 We definitely proved that ninos norteamericanos (North American kids) do NOT melt in the rain. They have an absolutely fabulous time and get EXTREMELY MESSY! 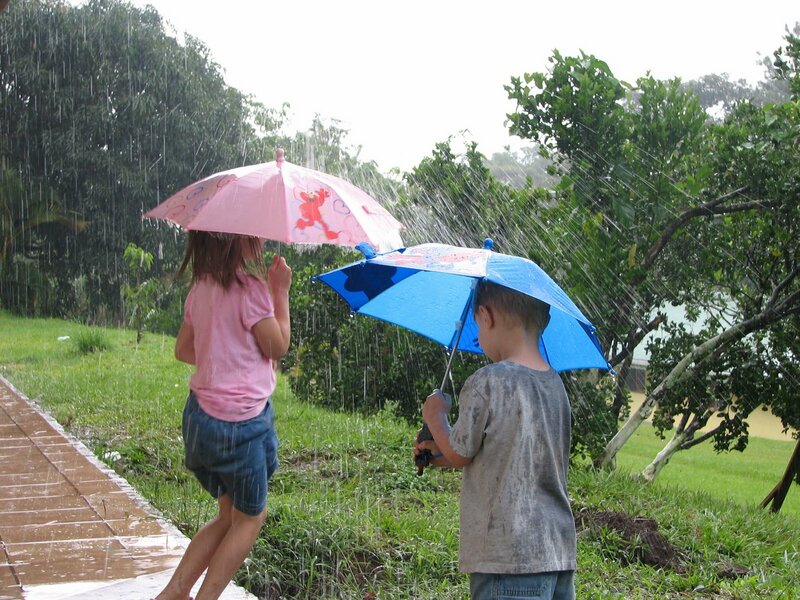 The kids romped in the puddles, plopped in the mud and twirled to their hearts content. Thankfully our cabins are behind all of the houses the tias and children stay in so we didn’t offend our hosts with their antics. After the mud baths we (of course) took pictures! I then carried the kids directly to the shower. Kris hosed off the kids while I hosed off the shoes and clothes. Being hard working kids after clean up they devoured Jello and cookies! It is the Glory of God to create such Life in small things like playing in the mud. We have our plans and our rules. They keep us on a straight path, but there are brief windows where God calls us to step off the road, take a break and savor His creation. They are a time to let go, watch and release yourself into His Joy. They are special because they are not part of the everyday. If we played in the mud everyday it would lose the joy and become routine. There are moments that Our Father gives to us just for that time. We can’t recreate them. We can’t force the pieces back the way we want them and do it over again. We can take Joy in what He has given to us and keep the memory of His Love for us as His precious Sons and Daughters. Thank you God for this memory. Thank you Father for reminding us of your Love for us. Thank you that You came to us, chose us and pursue us as Your precious children. In Your Holy Name. Amen. Why do we have umbrellas anyway? 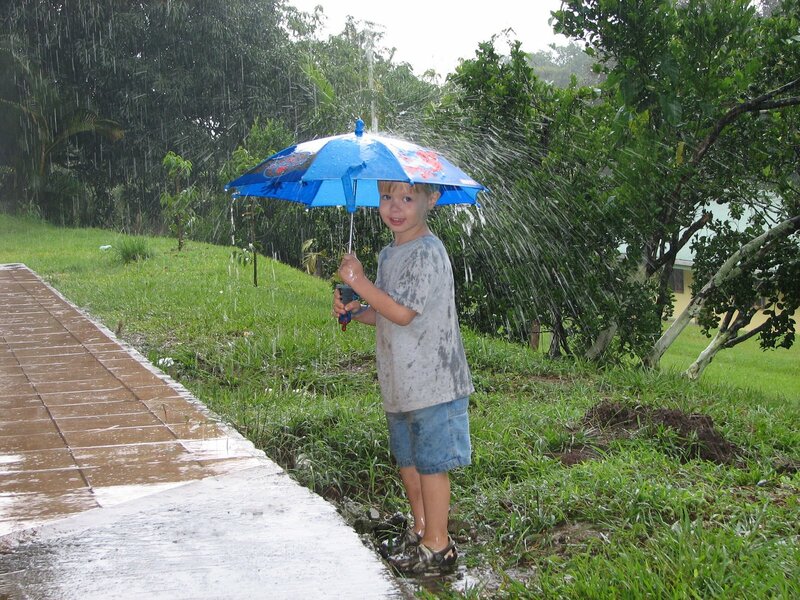 This entry was posted in Costa Rica, Matt's Thoughts and tagged children, mud puddles, playing, rain. Bookmark the permalink.